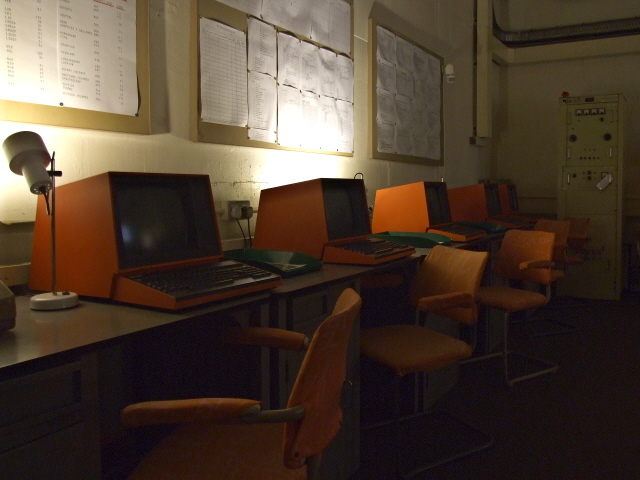 A former secret nuclear government bunker in the middle of Cheshire, Great Britain. 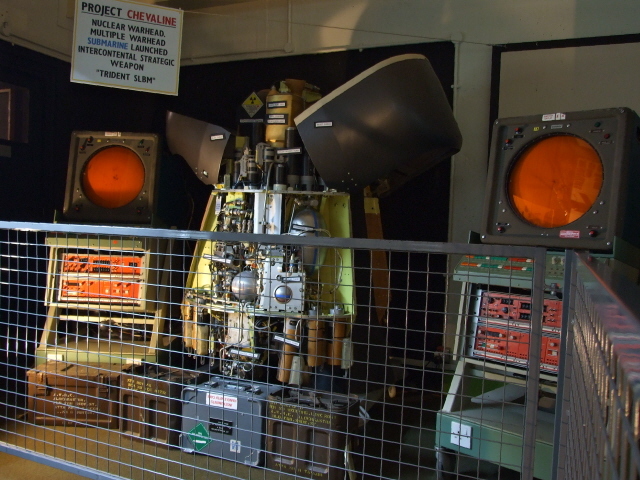 Now decommissioned and converted into a quirky but cool kind of Cold War museum. 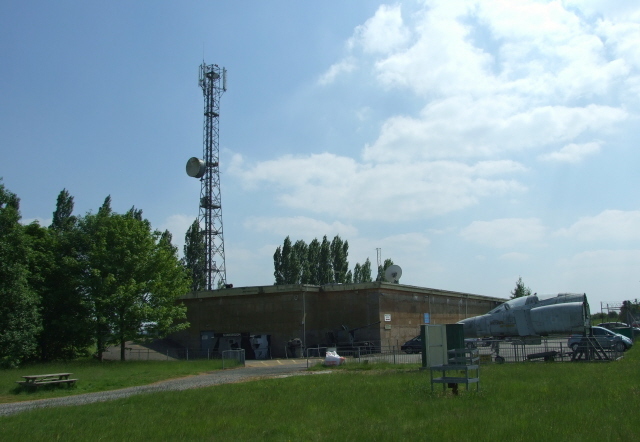 More background info: The installations at Hack Green, a tiny hamlet in rural Cheshire, started life as a radar station in WWII, and later served the RAF as one of the "Rotor" long-range radar interception systems, until it was closed in 1966. During the 1970s the site lay abandoned. 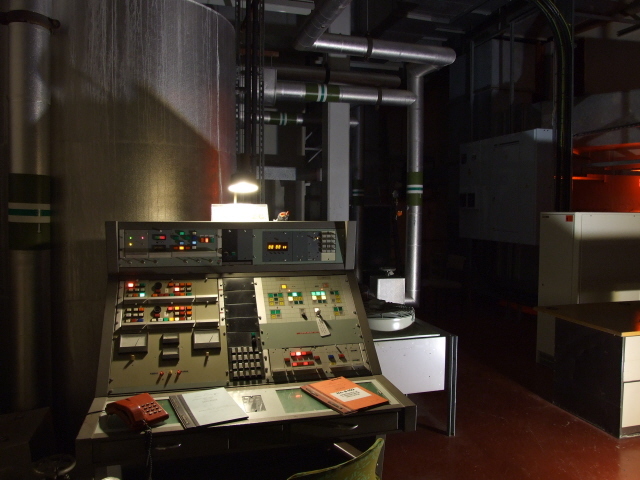 It was only in the 1980s when it was bought from the MoD by the Home Office and, under great secrecy, converted into one of the fallout shelters for regional government relocation headquarters in case of a nuclear attack on Great Britain. From here, early warnings would have been distributed, communications directed, and afterwards some form of government control exerted and rebuilding of society co-ordinated, rising from the ashes of World War Three so to speak. As if! You can only shake your head at the naivety of such a concept – especially if you've seen the film "Threads", the most realistic ever dramatization of what it would most probably be like after a nuclear holocaust: whatever may be left of society would soon collapse back into some kind of barbaric Stone Age level. 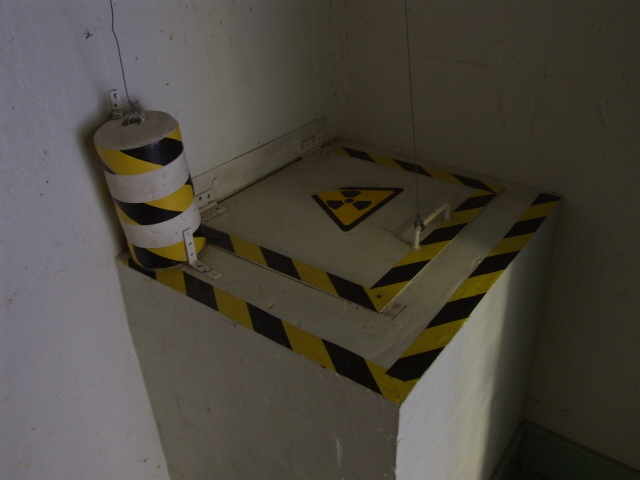 Regardless, in the 1990s, all these regional government nuclear bunkers were given up. 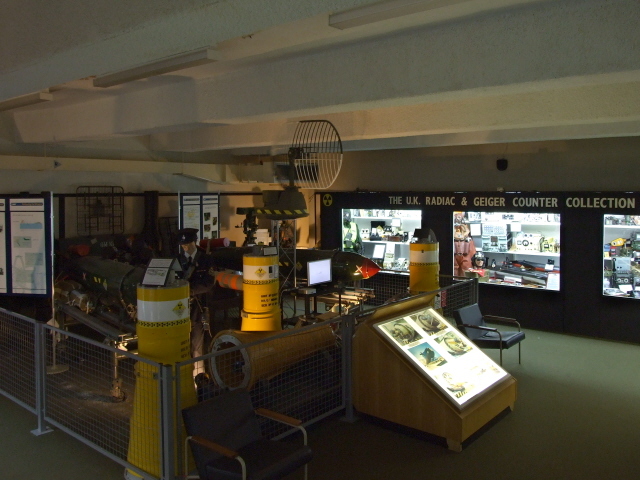 The one at Hack Green was acquired by a businessman who turned it into a private museum – a combination of bunker museum, incorporating parts of the original installations, with a wide-ranging Cold-War-themed one, for which comprehensive collections of all manner of artefacts were assembled for display. This even includes a number of decommissioned (and hopefully completely decontaminated) nuclear weapons. See below. This is a highly commodified affair that not only shows what such a bunker would have looked (and sounded) like back then in its Cold War era years of operation (or rather: preparedness for operation), but also illustrates other aspects of this dark age of fear of nuclear Armageddon such as the medical issues and so forth. At the same time it aims at being a "fun" experience, and even caters for children! 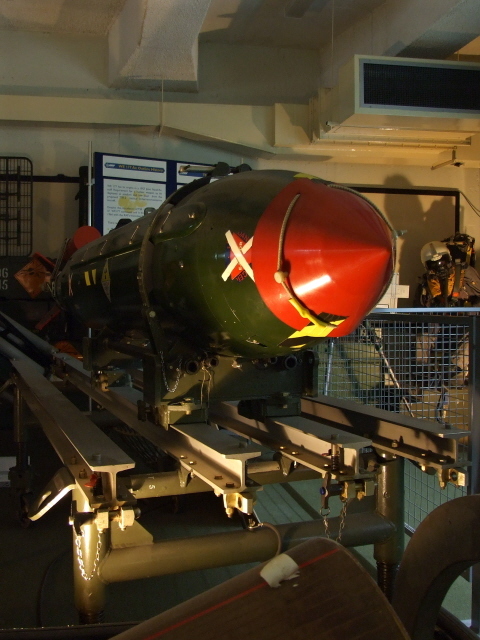 In some respects the museum also still reflects the naivety of the official government stance, namely through some rather optimistic wording as to the role of such bunkers and how government control would supposedly work. 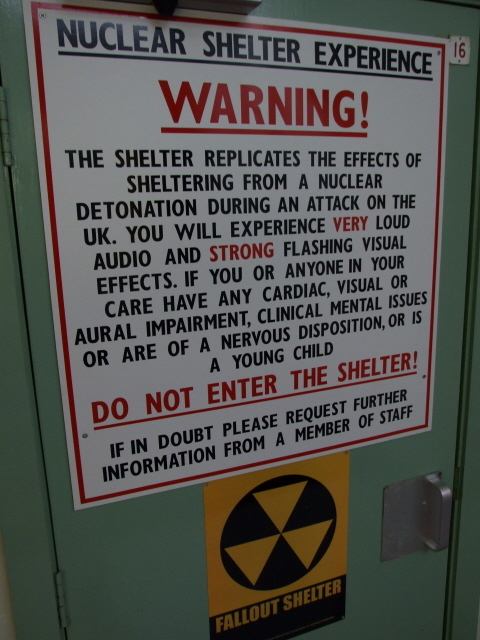 The museum's guidebook too contains a hypothetical scenario of an assumed nuclear attack by the Soviet Union – which ends two hours after the bombs have been dropped with the government broadcasting instructions to the population from the bunker. It finishes with the lines "Life goes on …" and the confident assumption that, partly through the bunker's services, "millions of lives may have been saved to see the dawn of a new day"! This is almost as mind-bafflingly a rose-tinted view as that expressed in those brochures that the government distributed in the early 1980s instructing the populace on how to "Protect and Survive" – mainly by building makeshift shelters ("inner refuges" within a "fallout room" – in private homes!) from doors, tables, sandbags, furniture, etc. – just as depicted in the cynical but loveable graphic novel and animated film "When the Wind Blows" by Raymond Briggs from the same era (and actually in part based on this very government brochure). In the book/film the end is the inevitable: the two central characters slowly rot away, dying from radiation sickness, despite having followed the government guidelines to the letter. In the government brochure, on the other hand, the rosy picture is indeed painted that if you carefully follow the instructions there will, within 14 days maximum, be an "all clear" so that "you may resume normal activities". Unbe-f***ing-lievable! I had to laugh out loud when I read it – albeit a very bitter, black-humoured laugh. The Cold War had the potential of the very darkest – a holocaust of everything: the end of the world (or at least human civilization) – yet relics from that era that are commodified for (dark) tourism are astonishingly scarce on the ground. 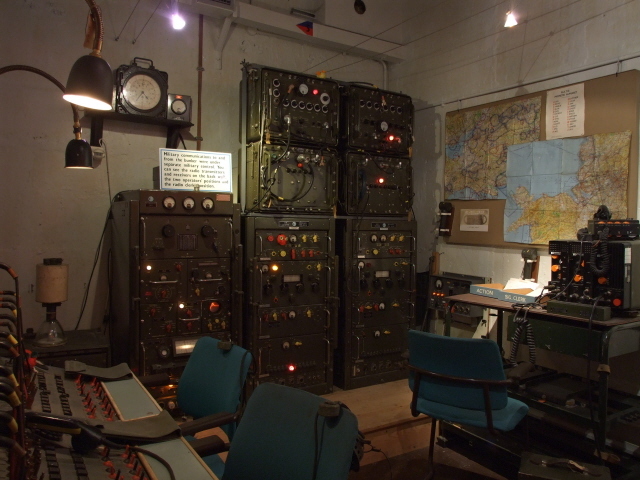 In fact, the owner and curator of the museum at Hack Green rightly reasons (also in a video played at the entrance to the bunker) that while there are countless WWII museums around, the Cold War era is in danger of being all but forgotten. So he sees his mission in working against that lack of commemoration. That alone has to be applauded, in my view. In a way it's a work-in-progress too, as the museum is constantly evolving and being expanded, so it may even warrant the occasional return visit. There may be aspects at Hack Green that I at least have a little trouble with, such as the occasional falling back into a kind of Russian-bashing lingo, reminiscent of the early Reagan era, as well as just a little too much Queen-and-Country patriotic phraseology (spelling, by the way, could also be improved here and there); but on balance Hack Green is a fabulous, unusual, somewhat quirky, valuable addition to Great Britain's very mixed portfolio of dark tourism attractions. Well worth a detour. What there is to see: The bunker at Hack Green is of the "semi-sunken" type, that is: part of an upper level actually pokes out from the ground as a big grey concrete hulk – underneath lie two more subterranean levels. Only the upper and the lower levels (but not the middle mezzanine one) are accessible to the public and house the museum exhibitions. Before you go in you could view the outside of the bunker itself – including the sign warning "unauthorized persons" to stay away … with a much smaller sign added underneath clarifying that this no longer applies. There are also a few large exhibits outdoors: an old anti-aircraft gun, a military truck and a sawn-off cockpit and nose section of an F4 Phantom fighter jet (looking a bit weather beaten and decrepit). Largest of them all is a huge red-and-white painted Marconi radar antenna mounted on a rotary plinth. Further large-ish and some not so large additional exhibits are to be seen in the anteroom just inside the bunker behind the blast door main entrance. A large scale model of a plane hangs from the ceiling, there's another military vehicle, and some old missiles, flags and signs (including one in German from the former GDR!) 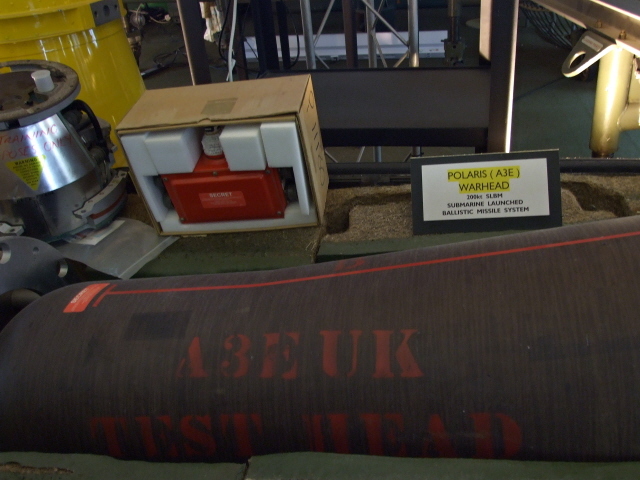 are scattered about – and: one of the museum's specimens of a British WE 177 thermo-nuclear bomb is also on display here (more are inside). All of this is arranged in front of the backdrop of a rather cheesy wall painting with bombed, burning buildings and such like. 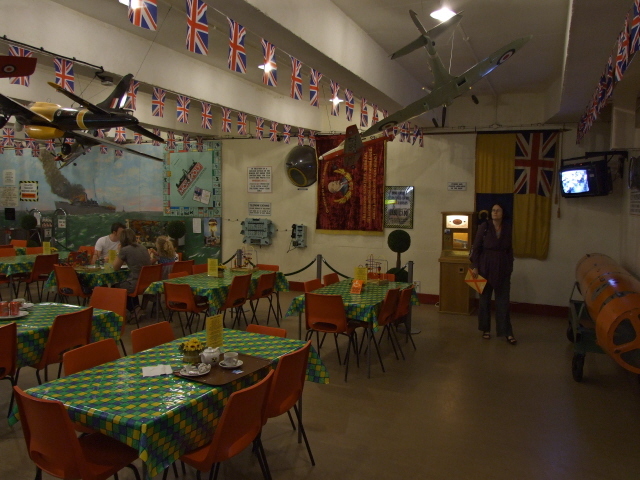 The militaria jumble theme is continued past the ticket counter and turnstile – inside the museum café, which was once the bunker's canteen. It's now adorned with more dangling model planes, Union Jack flags galore, charts and more war-themed paintings on the walls and even a genuine torpedo sitting in a corner, all arranged around a set of tables with chequered plastic table "cloths" and small pots of flowers. A strange mix of cute and a bit dubious. … wait a minute: a mouse?!? Yes indeed. This is part of the kiddie sideline the museum puts on: to keep the little ones entertained in what otherwise may well be a rather dull place for kids too young to grasp all that Cold War historical stuff. So they are invited to follow the "Soviet Spy Mouse Trail". That is, they have the "task" of tracking down all the mice in the bunker and finding their "leader": Big "R" Russki, the spy rat. So try not to be too bewildered, bemused or even appalled by the many plastic or fluffy toy mice dispersed all over the exhibits. Some are more obviously visible, others more hidden. 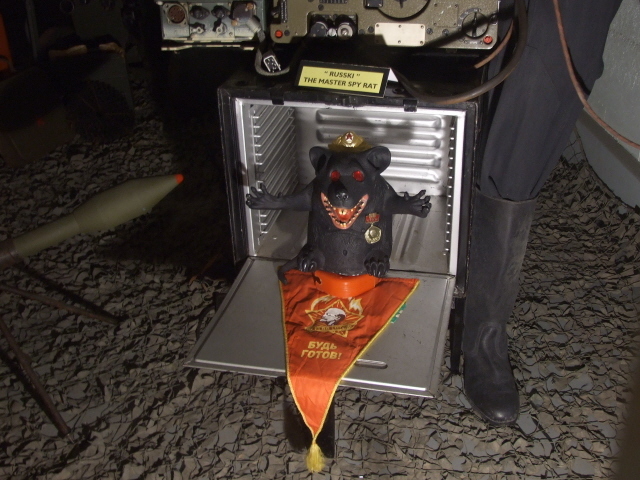 Before you ask: no, I did NOT count them, but I reckon there must be over two dozen mice dotted around … Some may find this mice thing a little on the sick humorous side given the grave context of the museum's Cold War/nuclear war theme. But to be honest, I found the presence of those mice rather funny. Call me a bit infantile, but even at my advanced age I still have a soft spot for fluffy toy animals put in odd places. 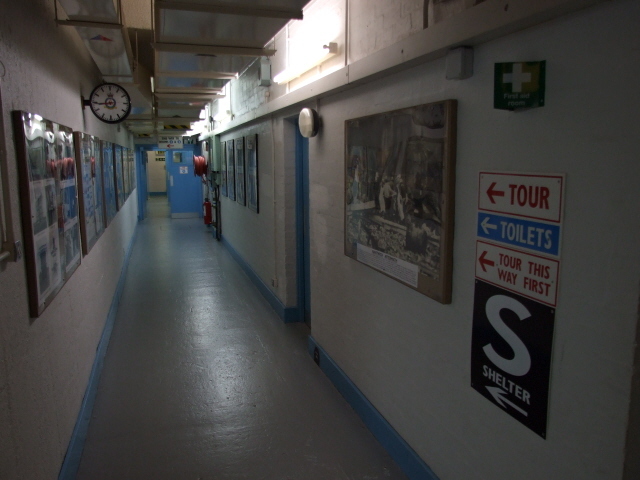 But now to the dark stuff: the (self-guided) tour of the bunker proper begins past a corridor branching off to the right of the far end of the canteen and then down another corridor to the left. Along the walls there are various panels with photos, texts, newspaper clippings and so forth. It's worth lingering to study the material – especially the "doomsday" scenarios. The large room off to the left of the main corridor, room No. 2, is the main museum display area. The cabinets to the right contain the "U.K. Radiac & Geiger Counter Collection" – apparently the largest of its kind in the country. More display cabinets line the other walls, all chock-full of various types of artefacts, ranging from fallout protection suits to model submarines. 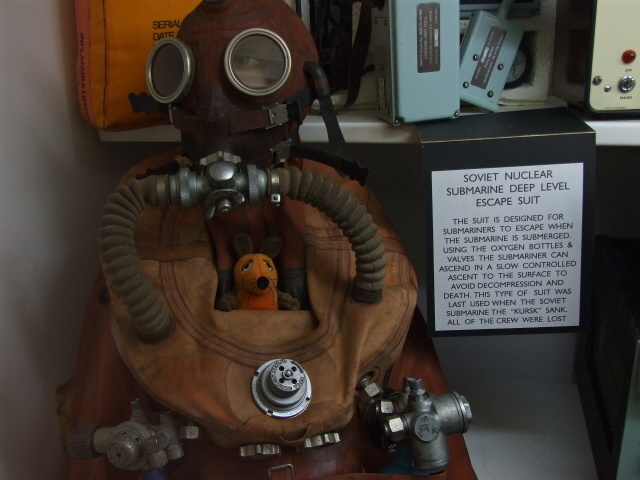 There's also a Soviet submarine deep-level escape suit of the type that failed to help the rescue of any of the men that died aboard the sunken Russian submarine "Kursk" in August 2000. The centre of this exhibition room is likely also to be the main centre of attention for most visitors. 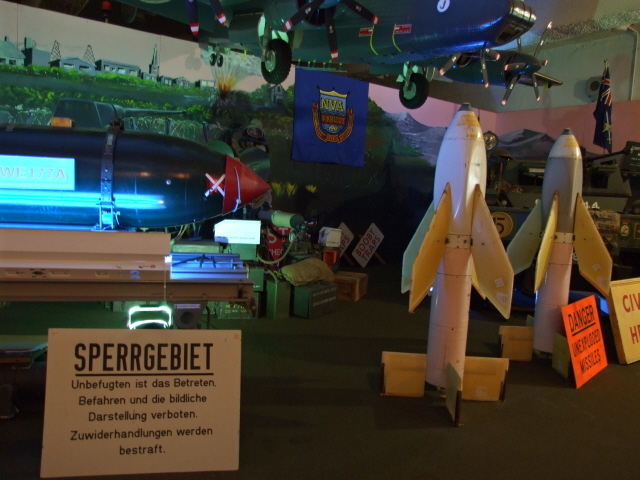 Here, the "star exhibits" are to be seen: the museum's genuine nuclear weapons (hopefully completely decontaminated). There are two British WE 177 A-bombs, together with all manner of associated gear. On charts and a video screen further information is provided (e.g. about the modes of dropping such a bomb from a plane). Furthermore there's a Polaris warhead, as well as a Trident multiple warhead and re-entry vehicle. Both SLBMs (submarine-launches ballistic missiles, i.e. mobile ICBMs), the former used to be and the latter still are the mainstay of the British nuclear deterrent. 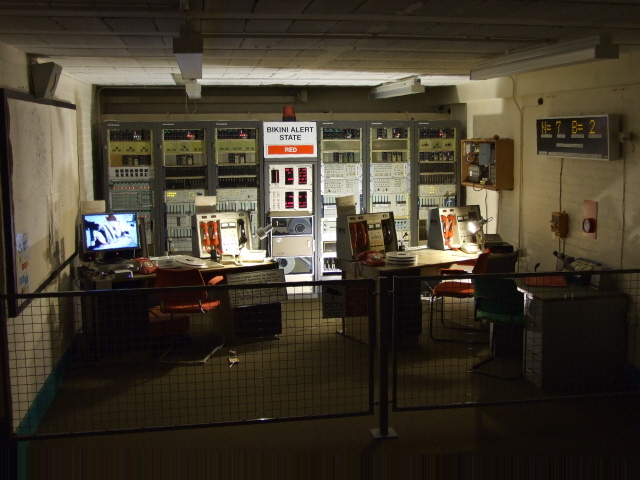 A small room to the left is a red-lit "darkroom" with various radar and other vintage electronic equipment beeping and ticking away to create a creepy get-ready-for-WWIII atmosphere. 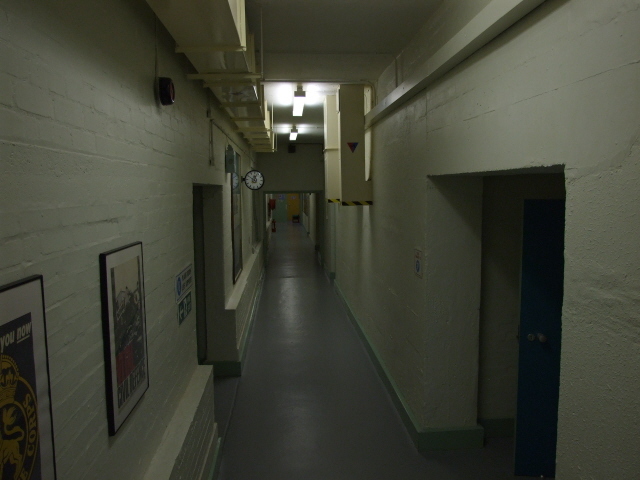 Back in the main corridor there's only one more upper level room to have a peek into, at the far end of the building – the decontamination room. Then you descend down the stairs to the lower level of the bunker. 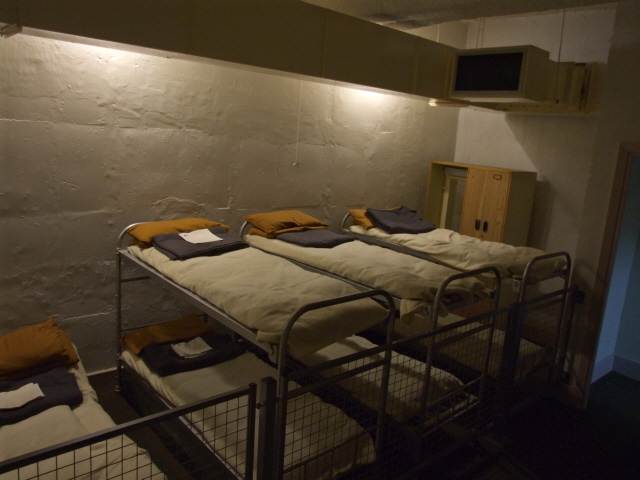 Here you find another speciality of the museum: the "Nuclear Shelter Experience" – where visitors with the nerves for it can "enjoy" a simulation of being in such a shelter during a nuclear war – bright flashes and loud noises included. A warning sign outside the door advises people of a nervous disposition, or with heart problems etc., not to enter. But the loud noises and strong flashes aren't all that bad. Most of the time it's just flickering red lights and crackling noises sounding like overworked Geiger counters while you sit on one of the chairs that line the walls around a central toilet bowl. Only every five minutes the "detonation"-simulation is set off by flash floodlights and subwoofer speakers (creating a good boom, but nothing anyone who's ever been to a rock concert couldn't handle). Further up the central corridor you get past the bunker's life-support systems, air filters, water tank and the like. Opposite is what would have been the government's HQ proper. Normally, such an assortment of office desks would hardly be exiting to look at – but picturing its supposed function it is strangely eerie, especially if you've seen the film "Threads" with its scenes of such a government bunker being cut off and buried, so that initial heroic attempts a "functioning" gradually give way to simply waiting for starvation … shudder. 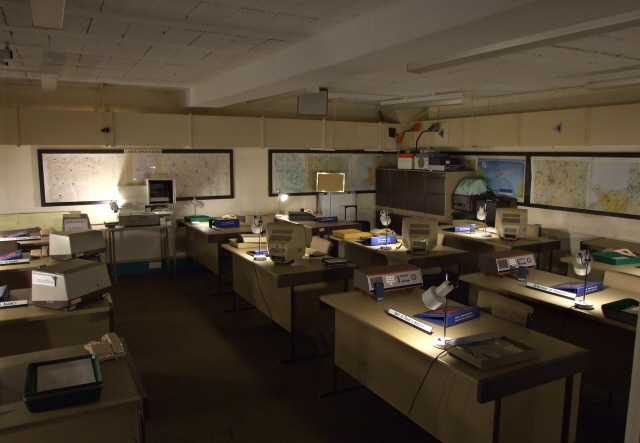 The next few rooms house more communications and measuring equipment, a briefing room, the commissioner's room as well as the bunker's BBC broadcasting studio (from where the "all clear" would probably never have come). The ancient computers, switchboards, teleprinters (remember them?) and wall racks full of all manner of vintage electronics are cool to look at if you're a bit of a gearhead, but otherwise it's not particularly dark. The BMEWS room, on the other hand, does deliver that creepy WWIII feeling better. 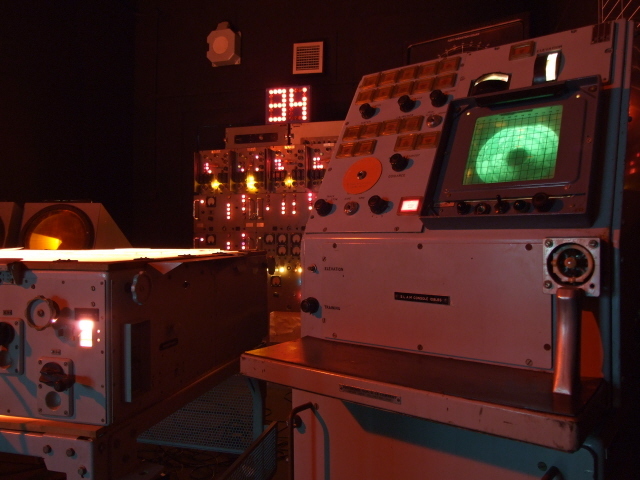 BMEWS is not a misspelling of "bemuse" but stands for "Ballistic Missiles Early Warning System". You are even invited to press a red button yourself – which only sets off a tape recording of siren sound effects and voices that report a Soviet missile attack … but then reassure you that "confidence is high". 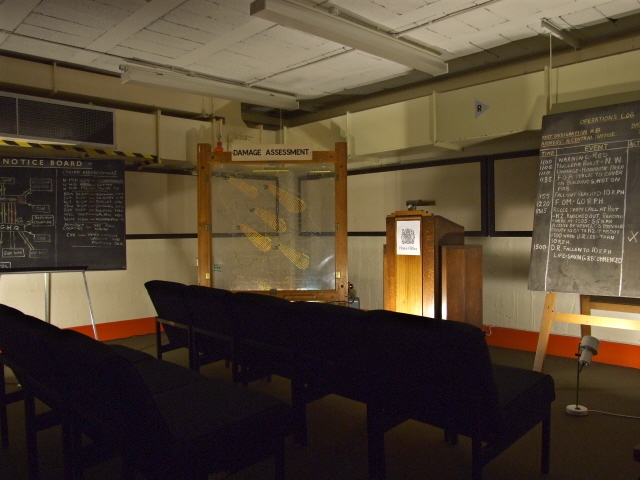 This latter room has its counterpart, as it were, in the next room at the far end off the bunker, which houses a reconstructed Soviet missile control room, complete with a map of Great Britain with coloured pins marking the targets, while a picture of Stalin stands in to creep out visitors who cannot decipher the Russian Cyrillic. Finally, downstairs also has a cinema where you can watch old government information films (the "Threads" precursor from the 1960s, "The War Game", is also shown). I didn't stay for any of the films (as I have plenty of copies of such material at home) but I presume you'd get plenty of optimistic "duck-and-cover"-style advice to distract you from thinking about WWIII realistically. Although other visitors have reported that some of the material is quite harrowing (and unsuitable for children). Back upstairs on the upper level two more rooms are to be viewed. 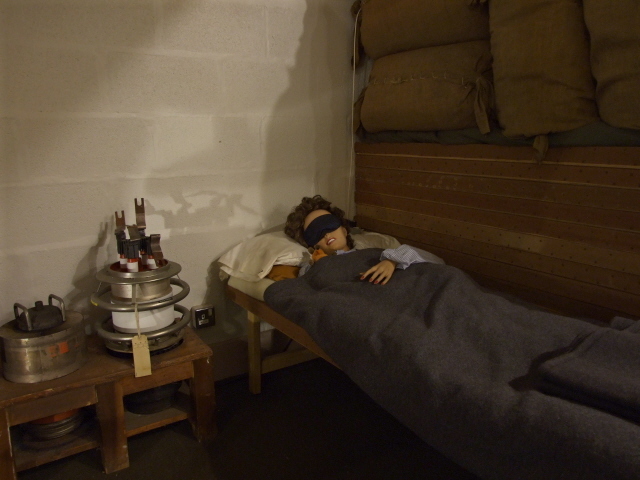 One contains a "female dormitory" (a few bunk beds and a single bed with a dummy sleeping beauty in it wearing an eye mask) … and also on display is a VLF radio unit. This latter acronym stands for "very low frequency" and is the type of signal used to issue submarines with missile launch commands for a retaliatory nuclear strike … or a first strike, as the case may be. 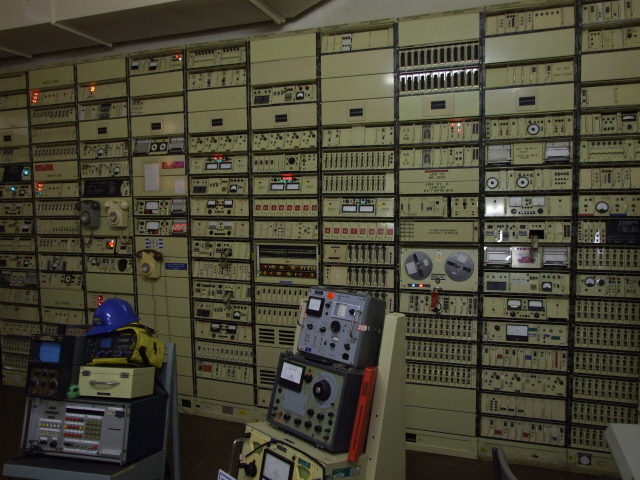 In fact, this very VLF unit was allegedly used by Margaret Thatcher during the Falklands War to signal HMS "Conqueror" to sink the Argentine cruiser General Belgrano! Not as grim as nuclear Armageddon, but still quite an element of dark authenticity! 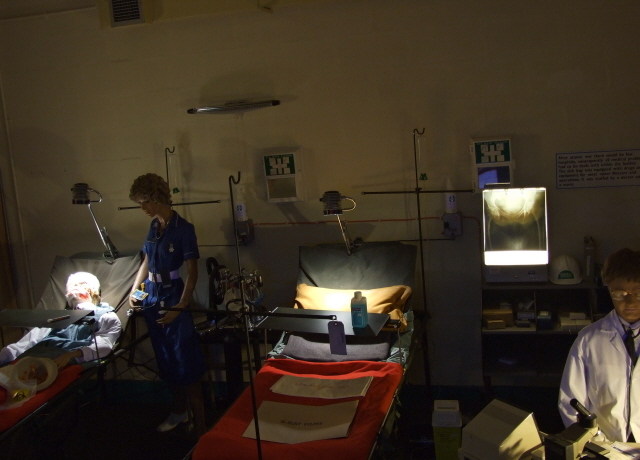 The last display room is a mock-up of a sickbay, complete with dummy doctor, dummy nurse and dummy patient, the latter with a gruesome looking bloodstained bandaged face. Sound effects include some agonizing whimpering and groaning over the cold medical reports being read out, the details of which you rather don't want to know. It's heavy-handed and it's advised that kids are best steered away from this room (this also means that for once there are no mice lurking here!). This final room is possibly the most graphically shocking part of the entire museum. The accompanying medical information panels are tough reading too. Outside, along the main corridor, more wall panels with texts, photos, charts and government brochures advocating "preparedness" make for further worthwhile study material. Back at the canteen, there's a stand selling various souvenirs, including old Soviet medals, model planes, postcards, even radiation dosimeters and those old government brochures (then distributed for free, but here and now they cost a reasonable few quid). Do grab a copy of "Protect and Survive" – especially if you (like me) have very black, sick sense of humour. I couldn't resist it. Here, parents can also buy their kids more fluffy mice to take home. And if you're peckish, the café doesn't provide fast food but serves "real food as fast as we can". 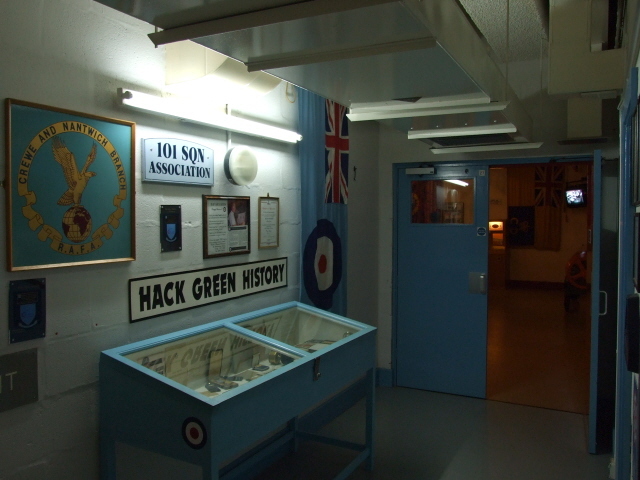 To sum up: I found Hack Green bunker a cool experience – despite the odd cheesiness or the somewhat bizarre contrast of a really grim subject matter with light-hearted kiddie entertainment elements. It may not be for everybody, but for those who don't mind the quirky aspects described it's both good fun (really) and informative, even educational. Some of the authentic artefacts truly impress. And for all with a special interest in the Cold War the place is an absolute must-see in any case. Location: near Crewe in Cheshire, in the west of central England, Great Britain, off the A530 a few miles south of Nantwich. Post code: CW5 8BL. Access and costs: only by car but not too tricky to find; mid price level. Details: coming from the north, south or east, access is easiest from the M6 motorway: exit at junction 16 and follow signs for Nantwich, then turn left onto the A530 (towards Whitechurch) and then left again onto an unnumbered country lane (Coole Lane) – no worries: brown tourist signs saying "Secret Bunker" give the location away easily enough (to the amusement of funny-road-sign spotters). You can also look out for the transmission mast for rough guidance – you can see it from quite a distance away. There's plenty of (free) parking at the site. Opening times: daily between March and the end of October from 10 a.m. to 5 p.m.; in the winter season open only Wednesdays to Sundays from 10 a.m. to 4 p.m.; it used to be closed all of December, but this does no longer seem to be the case (to make sure check ahead online at hackgreen(dot)co(dot)uk). Admission: 9.25 GBP for adults, 5-to-16-year-olds 6 GBP. Only the upper level is wheelchair-accessible – and a reduced rate of 7 GBP is offered for those in wheelchairs or with other mobility problems (and any accompanying carers) content with an impaired visit (of just the upper level). Time required: between one and over two hours, depending mostly on how much of the newspaper cuttings and other texts displayed you are prepared to read closely. Combinations with other dark destinations: nothing in the immediate vicinity (unless you count Stoke-on-Trent) – but Liverpool isn't too far away. See under Great Britain for destinations further afield. 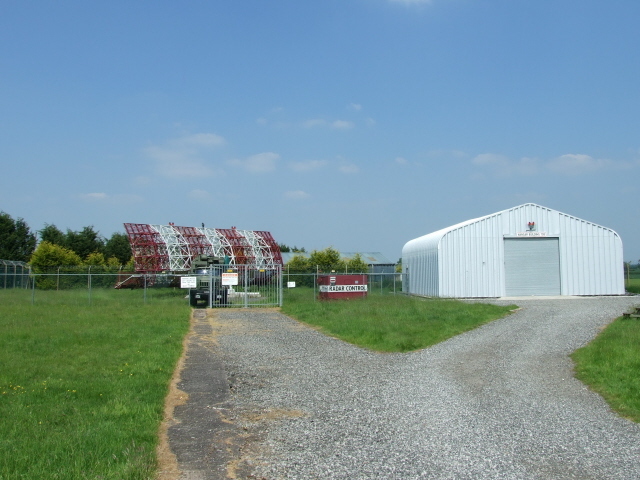 Another Cold-War-themed attraction within fairly easy driving distance from Hack Green is RAF Cosford, home of the National Cold War Exhibition, some 30 miles (50km) to the south. Combinations with non-dark destinations: in general see Great Britain – the nearby "market town" of Nantwich does offer some pretty half-timbered ancient houses in and around its tiny centre but little else – still worth a look, though. The scenery around isn't the very best that Britain has to offer, but the dramatic landscapes of northern Wales are not too far, a few dozen miles to the west. To the east lies the underrated Peak District with its moor highlands, caves, high passes and great views that can (almost) rival the Yorkshire Dales. The closest noteworthy larger cities are Manchester and Liverpool, both some 30 miles to the north-east and north-west, respectively. Birmingham isn't too far either, ca. 50 miles south. On a smaller scale there's Chester, some 20 miles to the north-west, with its well-preserved architecture (some from the Middle Ages), including largely intact city walls, and a famous zoo on its northern fringes.